Great news, we have been awarded a $2,500 grant for a school tower garden project and the chance to win $5,000 more through the CVS Health and ABC15 Community Heroes grant. We need your help, please go vote for us at tinyurl.com/voteazsa4cvs before August 31. Your vote will go towards helping children in food deserts get access to a fresh food source and food growing curriculum. We are also officially looking for a project manager for our Farmers Market For All project. We are in the process of creating project specs to send out, but if you are interested in overseeing a project that aims to redistribute excess produce to low-access communities, please contact me. 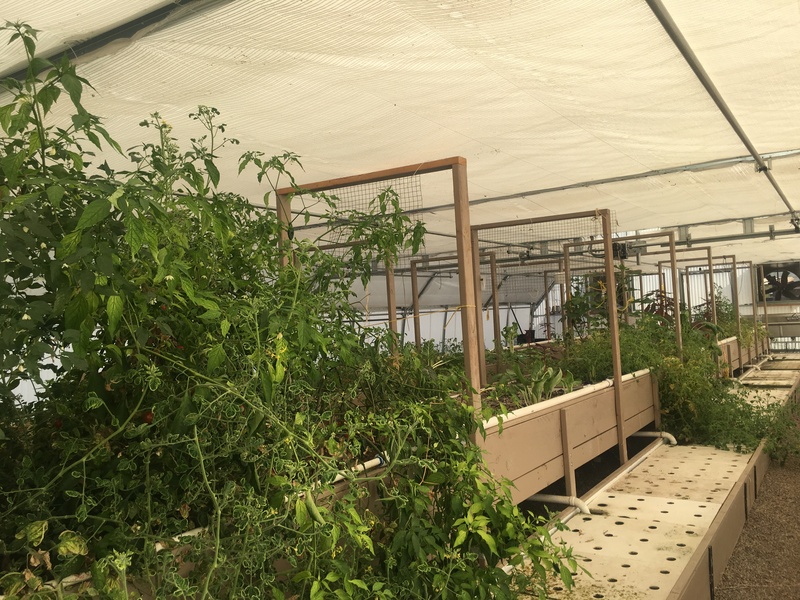 Today, our priority lead, Stephanie, took me on an official tour of the IRC’s New Roots aquaponics garden on Camelback Rd. The garden was beautiful,with so many different fruits, veggies and herbs growing. It was great to see alternative farming methods being employed at this scale. Below is a picture of the inside of the greenhouse.